Welcome to a guest post from Nicki. We know each other through the Parent Blogging network that has matured over the past 12 months or so. Nicki writes a blog with no theme other than it being a personal blog with her own opinions, family posts and occasional reviews. Here she explains why she chooses to sometimes open up her blog to review posts - a contentious subject in our corner of the blogosphere. 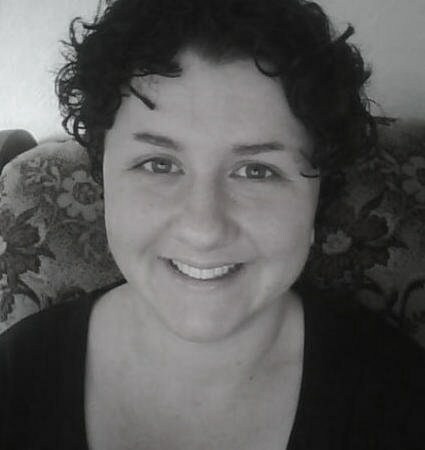 Nicki blogs at "Curly and Candid" and you can find her on Twitter as @NickiCawood. I’ve been blogging for a bit now and I love it. I’ve been lucky enough to have built a good follower base and have moved up in the ratings (and what not) pretty quickly. That’s all brilliant, (clever Nicki!) but it’s been hard slog at times mainly due to my not taking the time to stop and ask myself...what am I worth? From day one I would post or review anything I was asked to. My catchphrase became “Of course I can”. I was so grateful in the first few weeks and months that anyone considered me “good enough” to send review items to, press releases to, or gawd forbid actually ask to be featured. One day, when I had no fewer than SEVEN parcels delivered with things to test and review, and my email box was absolutely packed with requests for this that and the other... something snapped. What the hell had I agreed to? This was not what I wanted for Curly&Candid or for myself. I just didn’t have time to review anything and everything (anyone who has never reviewed, if you do it properly – it’s not a quick five minute job by any means! ), and I didn’t want to give away my time for free as such. Putting a price on my time, Curly&Candid’s space and my social media network (because how well that is maintained is key to how far a post can reach) is not an easy thing. I’ve had to stop saying “Of course!” and starting thinking, “What’s in it for me?”. If something will be entertaining or useful to the readers, adds something to the blog or I find it particularly interesting (What? It’s my blog! ), then I’ll consider saying yes. Reviews can be interesting, I enjoy doing the occasional one, however I do not want to run a review site – that’s just not me. Reviewing a packet of sweets or a shower gel, nice to be asked folks, but the time I’d spend writing a review, taking and uploading a pic or two and what not doesn’t make it worth my while. I now approach each email with an open mind and can decide at a glance whether it’s worth me looking into it. Mercenary? I don’t think so, I’ve finally got to the stage where I can put my foot down and be firm, both with myself and with people who do like to take the piss a bit. For me, working out what (I think) I’m worth and growing a pair large enough to tell people, has been the making of me. I just wish I’d done it earlier!